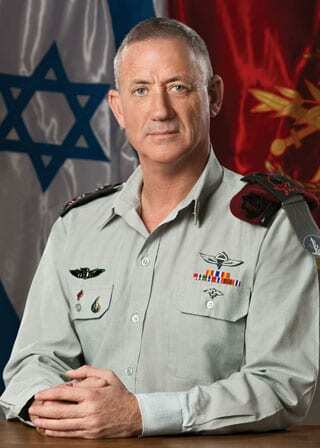 Former Israel Defense Forces Chief of Staff Benny Gantz registered a new political party on Thursday for Israeli elections slated for April 9, 2019. “Hosen L’Yisrael” (“Resilience for Israel”) will seek “continued development and strengthening of Israel as a Jewish and democratic state according to the Zionist vision as it is expressed in the Declaration of Independence, while establishing and changing national priorities in the fields of education, development of national infrastructure, agriculture, rule of law and internal security, peace and security,” according to its registration form. Gantz, who retired in 2015 and had to wait a three-year “cooling off” period before running for public office, enters the race as a dark horse against Israeli Prime Minister Benjamin Netanyahu, though polls have indicated that Hosen L’Yisrael joining the Zionist Union or Yesh Atid could present a challenge to Netanyahu’s Likud Party. Unlike Netanyahu, Gantz is opposed the U.S. withdrawing from the 2015 Iran deal. The first polls released since elections were called show Netanyahu winning re-election, with his party earning 30 out of the 120 Knesset seats—the same number it currently holds. In relation to the 3 year “cooling off” period for this new political party leader, is it restricted to just to former IDF members or does it cover former civilian public servants too? Please explain.